JPY is acting weak against USD. 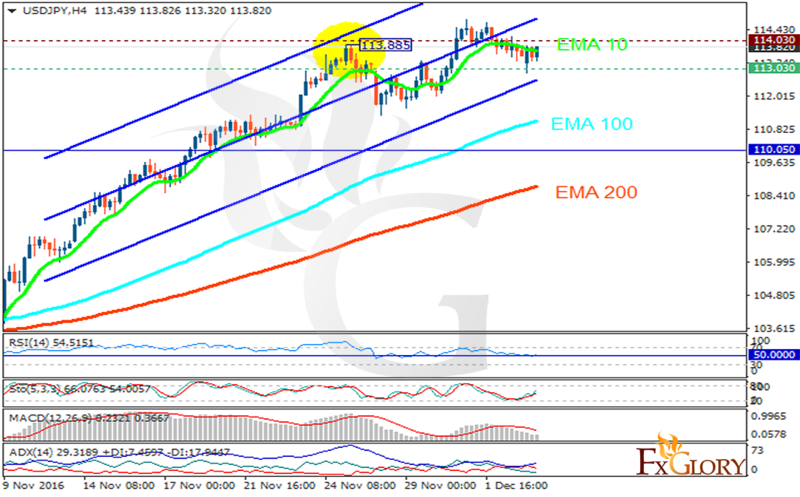 The support rests at 113.030 with resistance at 114.030 which both lines are above the monthly pivot point at 110.050. The EMA of 10 is moving horizontally but it is located above the EMA of 200 and the EMA of 100. The RSI is rising towards higher ranges, the Stochastic is showing upward momentum and the MACD indicator is in positive territory. The ADX is showing a weak sell signal. The resistance level breakout will push the pair to higher ranges targeting 115 area.